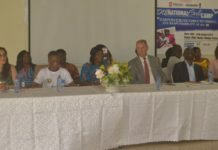 As part of their four –year scholarship programme to aid brilliant but very needy children to climb their academic ladder for better future, Plan Ghana international and Prudential Life Insurance Company Limited, have held their 3rd and the last Skill Training Workshop to help equip their beneficiary students and prepare them for better job market in the future. Plan Ghana– is a Non-Governmental Organization, which seeks to educate, fight and campaign against Child Abuse and seeks to protect and ensures the safety and the rights of all children. Whilst Prudential Life Insurance Company, is a private insurance company which stands on its own to insure lives and properties of people, and has no connection with any bank at all. The two, have in the past four years, collaborated to offer scholarship to brilliant but needy children who would have otherwise ended their education at the Junior High level, to continue their academics through the Senior High level for better future, and have really achieved great success and made awesome impacts in the lives of hundreds of needy students. And in other to ensure that efforts do not just go waste after their secondary education, the partners, also annually takes their beneficiary students through Skill Training Programme that would help them make better choices in their tertiary education and even help them become their own good entrepreneurs even after their secondary education. The students are taken through training such as ; Journalism and Media skills, Proposal Writing, Entrepreneurship, How to Answer Questions well in the Examination hall, Budgeting, among many other areas. And all these training are been offered and facilitated by experts and professional from the various fields. 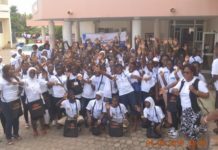 This year’s training, which sorted to host students from beneficiary schools from the Greater Accra, Central and Eastern Regions, targeted about a hundred (100) students. The training was facilitated by officials of the Prudential Life Insurance and coordinated by Plan Ghana International. 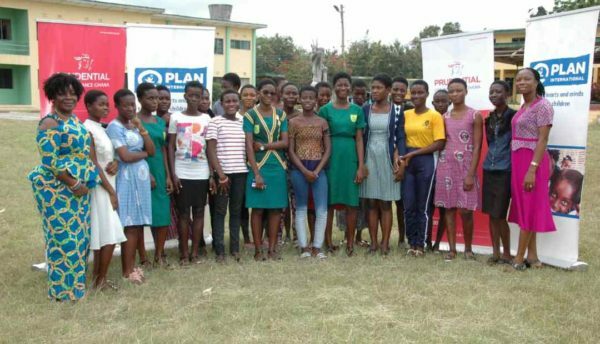 The three-day programme, was held at the campus of the Winneba Senior High School in the Central Region from Wednesday August 8, 2018, to Friday August 11, 2018. Participants however arrived at the training grounds on Tuesday August 7, 2018 to relax and get their minds settled for the programme. On Wednesday August 8, the participants were taken through some orientation ceremony to get the children abreast with the background of the training and what to expect. The orientation, was facilitated by Mr. Abubakari Adamu, the Child Advocacy and Education Adviser, who also doubles as the officer in charge of the Mentoring project. Mr. Adamu, ran the participants through the rules and ethics of the workshop, where he also encouraged them to take advantage of the training to equip themselves for better future choice and not to see the chance as one to just socialize with other friend and walk away empty after the training. Thursday August 9, 2018, was the official Opening Ceremony for the main training. The occasion, was headed by the Manager for Business Development for Plan Ghana, Mr. Joseph Appiah, and was supported by officials of the Prudential Life Insurance, officials from the education office- Winneba, among other dignitaries from the Afutu Municipal Assembly. 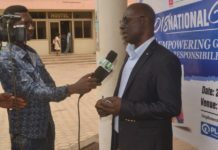 In an exclusive interview with the media team, Mr. Appiah, commended the organizers of the programme for such a well- organized workshop and also commended the students for their enthusiasm and responses to the workshop. He appraise that the Mentorship programme has in fact been a very beneficial programmme which has over the past three years added more benefits to the scholarship project offered by Plan and Prudential Life Insurance. He observed that even some of the beneficiary students who could not continue their education to the tertiary levels, had been able to set themselves up in their own businesses and are doing so well. He therefore stated that the mentoring programme is indeed a life changing programme which they are very proud. 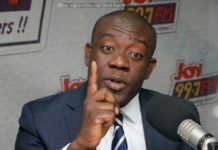 Also on her part, the Head of Communication for the Prudential Life Insurance, Madam Frances Ofori, set the records straight that, their company- the Prudential Life Insurance, has no correlation, whatsoever with the Prudential Bank at all. She unearth that Prudential Life Insurance is a total independent private entity which operates internationally. Frances, however disclosed that her company’s partnership with Plan for this scholarship and Mentoring project is really worth it because the project has really made great impacts on the lives of the beneficiaries and helped produced more well equipped and experienced graduates in Ghana for better future in the past three years. 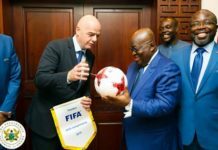 She assess the project as a very effective venture and called on other corporate bodies to also follow suit to help improve the educational system in Ghana. The training was facilitated by Madam Frances and her team of experts, where participants were ; What Banking is, The various forms of Banking and their Benefits, Savings, Budgeting, and how to Cut Down Unnecessary Cost and make some savings for their textbooks as students. The participants were also trained and guided on- How to Answer Examination Question Accurately to avoid failure in their final exams. The participants’ responses to the training was very massive, involving and very effective. Some of the students who spoke with the media in an interview expressed their profound gratitude to the Plan and Prudential Life for such an opportunity provided them to help better their future, without which they would have been school drop -outs. They also promised not to go out there and just waste this great impact made on their lives, but shall work so hard to make their benefactors proud. The workshop ended successfully on Friday August 10 at about 1:00 pm with smiles on all faces. In his closing remarks, the Manager for the project- Mr. Bubakari Adamu, in an interview appealed to the Government to device and implement more of such ventures to help prepare and guide the young ones for better future. He ended by emphasizing that education alone is just not enough to safeguard the future of our students, and called on more corporate bodies to also come on board to help support the needy.